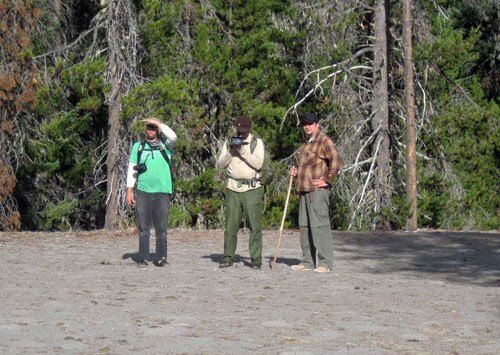 On Saturday June 28, 2008 three men set out to make a fly fishing video on the Upper McKenzie River in the Willamette National Forest of Central Oregon. The three men either work at or are associated with a fly fishing shop called The Caddis Fly, located in Eugene, OR. They launched two drift boats from Olallie Campground in the late morning and started their float downstream. George R. was alone in one boat, and Chris D. and videographer Matt S. were in another. As they rounded a left turn in the river, George's drift boat was ahead of the other one. Trailing in the second boat, Chris and Matt positioned themselves to film George's descent over the class IV rapids ahead of them. As the two boats' oarsmen navigated the treacherous rapids, Matt did his best to keep the camera steadily on George. A stabilized and zoomed version of the footage. Over two years later, two employees of The Caddis Fly were watching the video at the shop. One of the employees noticed what appeared to be a large dark figure moving on the shoreline in one of the scenes. 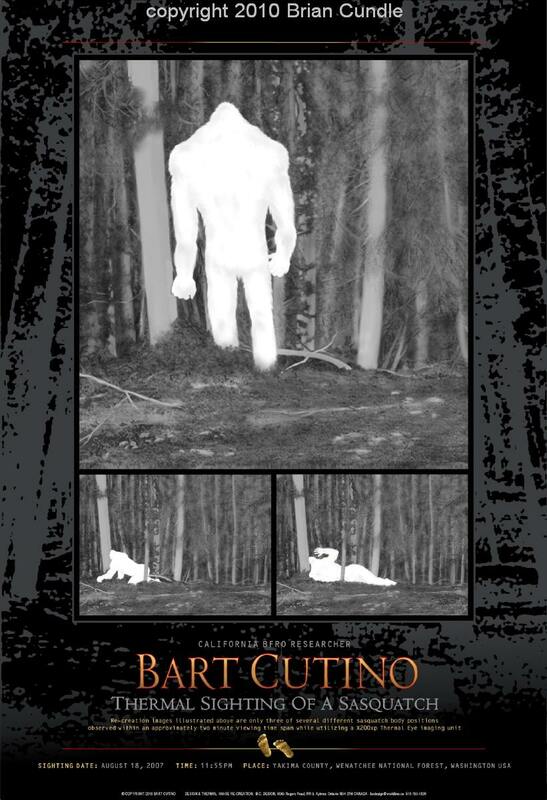 After reviewing the clip several times, they thought that the figure might represent a sasquatch. One of the men, Clay, called the BFRO and left a voicemail stating that he had some interesting footage that needed investigating. Though the film is quite shaky throughout the few seconds the subject is visible, a small amount of detail is evident. It appears that two dark figures walk behind a rock pile from left to right, then the leading figure ascends the rock pile. The leading figure can only be either a human or a sasquatch. It stands erect and two arms are clearly visible hanging to its sides. After a brief glimpse of the leading figure standing bipedally, the two figures are lost to view. 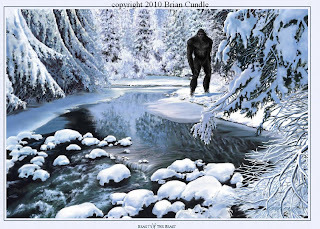 Most pieces of footage purported to show a sasquatch are either hoaxes or are misidentifications. This footage had no signs of being a hoax. None of the men in the video knew the figure was even there. The clip was shot over two years ago, and most hoaxers want attention much sooner than that. To this day all of the men involved think that the clip is interesting, but don't really care much if it shows a bigfoot or not. It was clear from the beginning of this investigation that this was unlikely to be a fabrication. 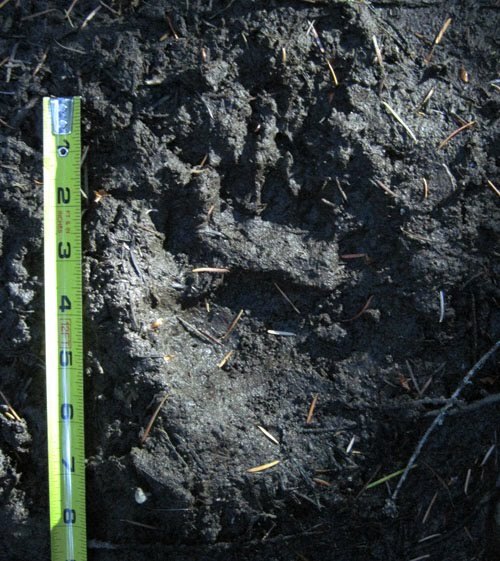 If it is not a sasquatch then it would have to be a misidentified human. Due to the low quality of the YouTube footage, little can be determined by examining it. However, it has been discovered that the original footage could still exist. Matt, the videographer, uploaded his footage onto his iMac computer for editing after the men filmed that weekend. He later gave this computer to his brother, Nate, as a gift. I met Nate in person at the film site, and he told me that he has never erased anything off of the computer. He then told me that he would look into it. This was two weeks ago as of this writing. The whole question of what the figure actually is could be solved by a quick glance at the original footage if its quality is good enough. No real detail can be objectively determined by what is currently available online, but this is likely to not be the case with the original footage. I have called Nate several times, but he is a hard guy to get a hold of. To me, this is entirely understandable. Nate is a professional fisherman and spends much of his time in the field angling. When he has days off of work, he is also on the water. In fact, the day I met him he was to take his boat 20 miles offshore to fish for albacore and did not plan to return until late the following evening. When I was young, I worked in tackle stores for nearly a decade. I had the same lifestyle, so I understand the angling life very well. It is similar to the bigfooting life in that one is always chasing their quarry, and spending a lot of time in the wilds doing it. I will continue to patiently pester Nate for the footage and update this report as new information comes to light. Getting a hold on the original footage has been the sticking point with the publishing of this report. I have only recently decided to publish what I have as a preliminary report. 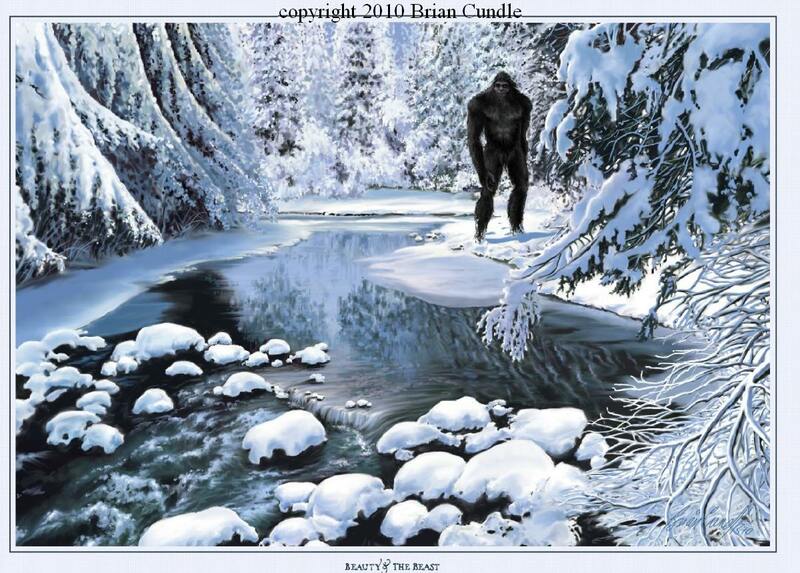 The McKenzie River has a long history of bigfoot encounters. The terrain is steep and wild. Few people venture far off of the roads and trails that criss cross the landscape. Food, water, and cover are all abundant, and in general this river valley is an ideal habitat for sasquatches. That is not to say that this area is isolated. Several hikers and cyclists were seen on the roads while driving to the site, and one kayaker made his way down the rapids while we were there. The [wider] recreational corridor is well-traveled by sportsmen, tourists, and other outdoor enthusiasts. The actual film site is accessible by turning off of the main highway onto a smaller dirt road. This road winds a short ways to a well-used campsite which is perched a short distance above the film site. From the perspective of the camp, the site is largely obscured by riparian foliage. The view from the camp above the filmsite. Much to my pleasure, there was a power line cut a very short distance from the film site. Many bigfoot researchers have long noted the correlation between sasquatch activity and power lines. Some hypothesize that it is easier to travel along these routes, but I find that not to be the case. I suspect that sasquatches frequent power line cuts because it offers one of the few places in the woods where sunlight reaches the ground, thus producing copious amounts of food for deer and other prey animals. 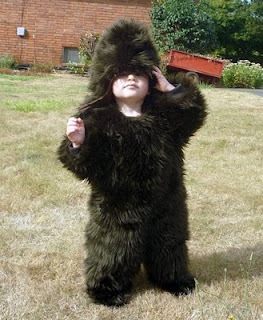 It is thought by many that sasquatches not only eat the herbivores, but also their food. Either way, this spot offered easy access to a power line cut, which might offer any wandering sasquatch a steady food supply. 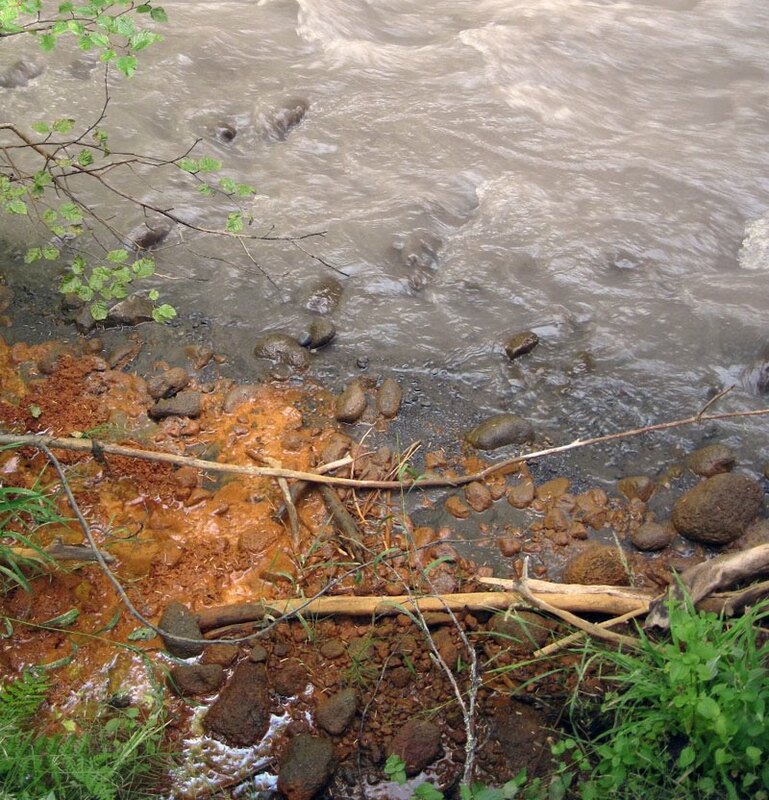 The rock pile that the figure is seen to stand on is at the upstream end of a small side run in the river. On September 11, 2010 when I visited the site, there was standing water behind the rock pile that was perhaps a foot and a half deep at the deepest point. 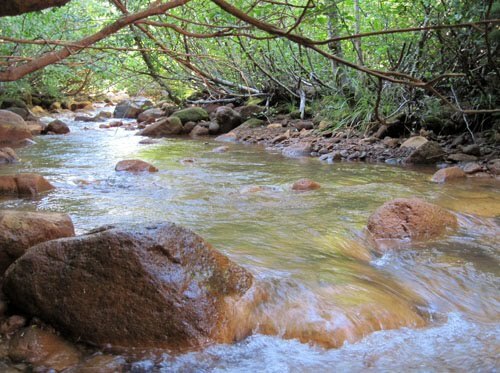 On that day, the river was flowing at a rate of 744 cubic feet of water per second. At the time the footage was shot, the river was significantly higher, flowing at a rate of 1650 cubic feet per second. It is unknown how much higher that would put the water level behind the rock pile. This becomes significant when one considers the figures' movements behind the rock pile as the boats approach the rapids. the subject's position on the rock pile. The rock that the figure is standing on was easily identified. It is the only place that a man-sized creature could possibly stand and be seen in that position from the boat's vantage point. The rock that the subject was standing on is four feet in diameter, and only two horizontal feet from the apex of the rock in front of it. Such small distances would not interfere with the very approximate measurements obtainable from this investigation. Until the original footage becomes available, the best that can be done is to make some effort to determine the size of the film subject. I have determined two methods of getting an approximation of the subject's height. If the results of both methods converge on a certain height, then we can be reasonably sure that this is the approximate height of the figure. 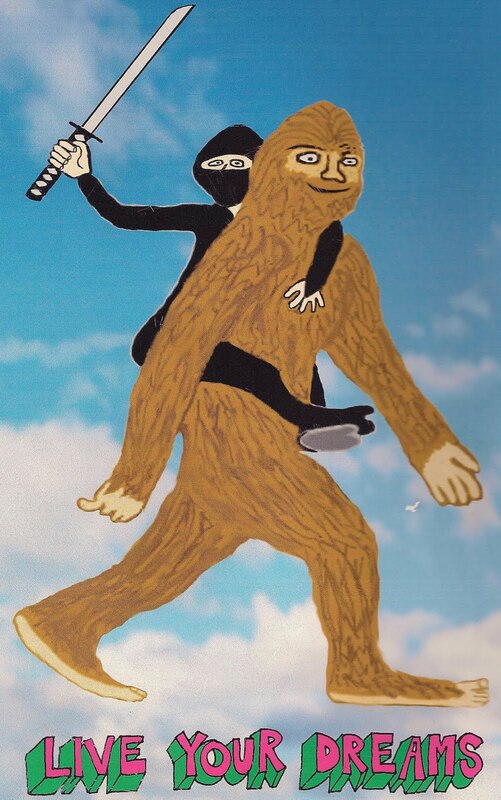 The most common method of determining the height of sasquatches in films is to put a person of known height in the same position and compare the two. This has been done for several pieces of footage (e.g. PG Film, Marble Mountains Footage). Wearing waders, Will Robinson waded into the river to a gravel bar next to the left-hand channel that the boaters went down when filming. He then photographed me standing on the same rock that the subject was standing on. Though Will was not standing at the exact same place, nor was he taking photos from the exact same height as the videographer, the comparison photographs are close enough for our purposes. approximate position of the camera. Below is a composite photograph made from a frame of the footage and the above still that Will took of me standing in that same location. The incongruence in the rocks' positions is at least partly due to the tilting of the boat as it traversed downstream, and also due to a discrepancy in the boat's position compared to where Will stood. However, it is clear that the rocks line up very well, thus indicating that our positioning was fairly good. The method I used to line up the rocks was to use the highest points of the rocks in the photo. Superimposing one photograph over the other, I lined up these peaks until their locations matched. I then verified that the rocks' sizes were the same, tweaking it as seemed reasonable. The vague outlines in the YouTube version were not very helpful in this regard, but similar comparisons will be made when the original footage becomes available. As can be seen in the above composite photograph, the size of the subject is not much different than my own (I stand at 68 inches tall). However, the subject seems to be hunched over at this point since very little of its head is visible above the shoulders. comparison. Note the stooped posture. Using measurements from the site, I found the difference in heights between two rocks visible in the footage to be 29 inches. Finding this difference in pixels in the photograph yields a total of 59 pixels. Dividing the two gives 2.034 pixels per inch. I used this information to determine how tall the visible part of the figure is. Drawing a line from the top of the figure to where the figure becomes obscured by the rock gives a height of 79 pixels. Dividing this by 2.034 pixels per inch gives a result of 38.84 inches for the approximate visible height of the subject. Using photographs of me standing in the same position, I found that approximately three feet of my height is behind the rock pile and is not visible. Adding 36 more inches to the above result for the hidden height gives 74.83 inches, or just shy of 6 feet 3 inches. Using two methods to determine the approximate size of the figure, both seem to indicate a height of around six feet tall. It is possible that the figure is actually a bit taller than this because of the apparently stooped posture. While six-foot-tall sasquatches certainly exist, this happens to be a rather average height for most adult male humans. The general size of the figure seems rather large, but not beyond the possible size of a human. It was noted that the figure seems to be much broader than myself, and I am a fairly broad-shouldered man for my height. The figure's general dimensions are certainly distorted due to the pixelization of the YouTube video. This might be contributing to its seemingly large shape, but this is uncertain. The behavior of the two figures is also worthy of note. When I was at the site, a kayaker made his way down the rapids. When he came into view, a member of our party went to the very same rock that the figure went to in order to gain a better view of the kayaker. If a camper saw a couple boats floating down river heading towards these dangerous rapids, it is likely that he/she would stand on this same rock to gain a better vantage. However, in June when the water level is so much higher, I have to wonder if the area behind the rock pile would be possible to safely traverse. It's quite possible that the water level was 20 or more inches higher when the footage was shot. The fishing guides who met us at the scene commented at how the side channel would be heavily flowing and largely white water at that time of year. Due to the behavior of the subjects, as well as the calculated approximate height, I believe that the footage most likely shows two human figures trying to get a better view of the boats as they headed down the rapids. The first figure put itself into a position where it could easily be seen, coming from a place where it was hidden. This strikes me as unlikely behavior for a sasquatch in full daylight, but that is not to say that this sort of thing never happens. 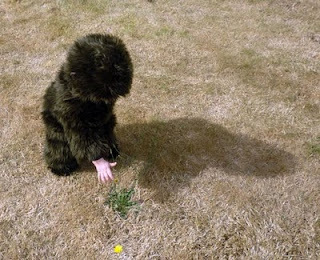 Sasquatches do very unexpected things, and indeed their very existence is unexpected. 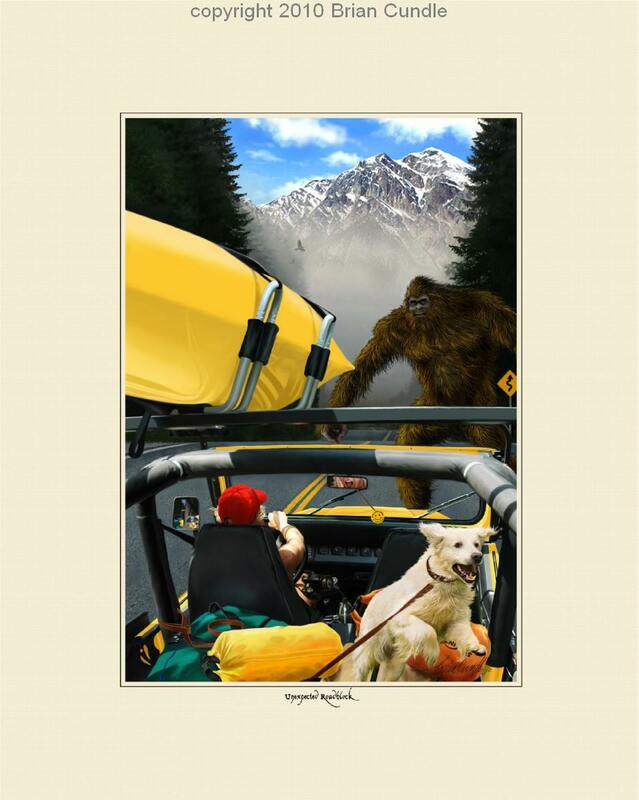 One should not be so quick to impose human expectations on sasquatches. I could very well be incorrect in my assessment. There are things about the footage that look very squatchy to me. The width and girth of the subject seem pretty massive, even if it is only six feet or so tall. Also, its apparently stooped posture combined with the high shoulders looks very ape-like. It will be very interesting to see the original footage. It is quite possible that it will be good enough to see clothing, or even facial features, clearly indicating that these figures are human. It is also possible that a close examination of the original footage might show two hairy bipeds doing something unexpected. I, like you, can't wait to see it. This investigation and the time it took to do it was well-spent no matter what its conclusions or what the eventual viewing of the original footage determines the figures to be. Good times were spent with great friends in a beautiful place, but even more importantly, we were doing amateur science by obtaining data. All compelling evidence should be closely examined using whatever means one has at his/her disposal, and an effort should be made to bring back some form of data to share. That is the very nature of science: to look into things to see what seems to be the truth, then to share it with others for review. Until more professional scientists step up to the plate, whatever science that is possible in bigfooting must be executed by amateur scientists like us. Bigfooting is a form of field primatology, yet one in its infancy. Its our job to help it mature. This article can be permanently viewed (including downloadable photos) on my website by clicking this link. Being good friends with many of today's most active bigfooters has its perks. Breaking bigfoot news usually reaches my ears before those of the general public. Recent bigfoot activity gets passed my way in casual conversation, and often invitations get extended for future forays into these same areas. One great perk to being so well hooked-up is that I see some amazing photographs. 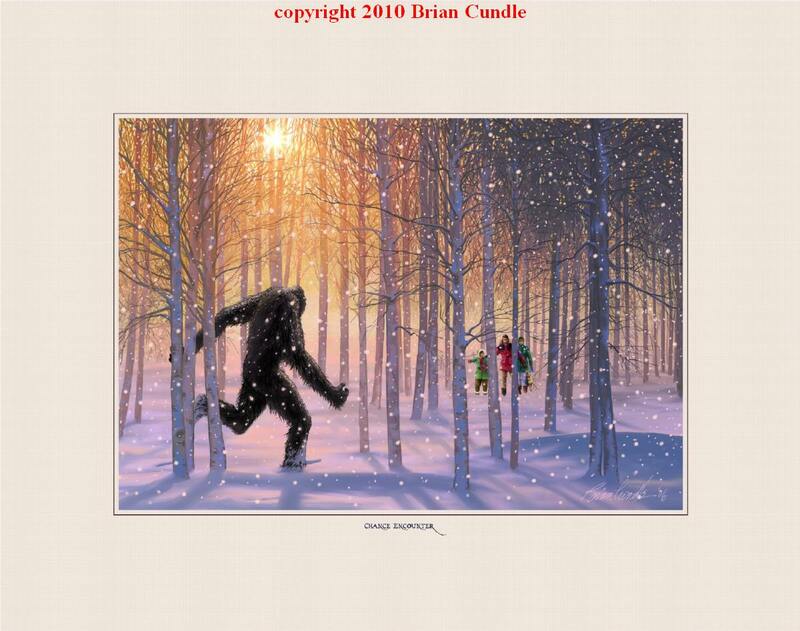 Sometimes these photos are of purported sasquatches, though that is rare. More often, photos of the more common wildlife species are sent. These are the subject of this blog. Could this be a sasquatch? Look here for details. The Olympic Project has been a continual source of fantastic wildlife photographs. Their steady stream of apex predator photos tells me that they are doing something right. Many people who live in the forested areas of North America have never even seen a mountain lion, but the Olympic Project has captured literally dozens of photos of these elusive felines over the course of this past year. The Olympic Project is still going strong. Derek Randles, Rich Germeau, and their colleagues still climb to the ridge lines of the Olympic Mountains on a regular basis hoping to capture one of the "big guys" on film. They've been doing this for one year, and they have given themselves four more. We reap the benefits from the comfort of our computer chairs. Enjoy the following photos, courtesy of the Olympic Project! The title of the article below caught my attention, but as it turned out the "world's least known apes" were not sasquatches after all. They were crested gibbons. It must have been a coincidence that the gibbon was depicted in a tree in a bipedal pose. Being a fan of everything ape, I read the article with an eye out for issues that would similarly affect sasquatches. As it turns out, the crested gibbon is being threatened by hunting (which clearly doesn't affect the sasquatch population) and deforestation (which clearly could threaten the squatch). The parallels between the gibbon's plight and that of the other apes is starkly clear. Deforestation is the number one threat to great apes. Perhaps this same issue will threaten the North American sasquatch population. Perhaps it threatens the population right now, but nobody knows because the creatures still remain in the realm of myth. Either way, there is something you can do about it. I call it "Conservation Before Discovery." This idea of Conservation Before Discovery is simply being aware of land conservation issues, and casting your political votes accordingly. Take the opportunity to write an email to your representatives encouraging them to pass measures to protect vast tracts of land. Encourage them to pass legislation protecting wild areas and wild animals. Notify them that you care about apes (even though no recognized species of ape lives in the United States or Canada, our government still discusses and weighs legislation that protects apes on other continents). A word of advice: You probably shouldn't rant at your representative about how their actions will benefit sasquatches. That will make them think you're a kook who needn't be listened to. So, while being politically assertive for the sake of bigfoots, please don't drop the "BF Bomb" or your effort might be for naught. A decade ago, a sighting report was submitted to the BFRO that started a two-year effort to obtain photographs of sasquatches that seemed to be frequenting a rural homestead outside of Chehalis, WA. This sighting report was investigated by then-BFRO member Thom Powell . Details of the investigation can be read elsewhere, and there are even media articles detailing the "Chehalis Project," but I wanted to bring the following short clip to your attention. On December 30, 2001 several shadowy images were recorded on a remote camera at the site. These images just might be the first photographs ever taken of a sasquatch on a remote camera system. These photographs are by no means conclusive. They are, however, quite interesting. I am particularly taken by the second image which seems to show a slightly stooped figure with a possible dome-shaped head. It is also important to note that Thom mounted the camera nearly 8 feet off the ground. In his excellent book, The Locals , Thom gives great detail about his investigations on the site. 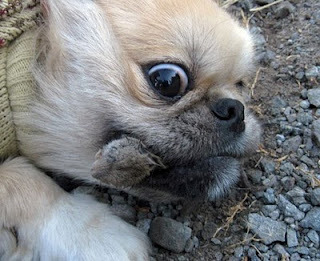 Things eventually got a little weird there, including possible break-ins at the property, and the project was abandoned. However, what most people do not know is that the bigfoot action continued after the investigations terminated and the technology was removed from the property. "Allen" and "April" no longer live at the site, but they still live nearby. 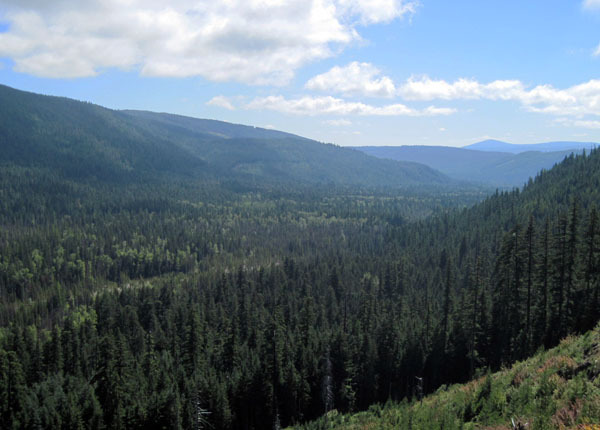 They have continued to be interested in the bigfoot mystery, and have shared locations that have had recent bigfoot activity just outside of town. 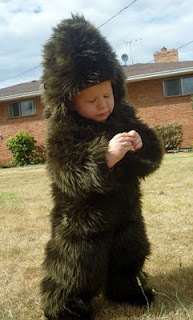 One of the most popular posts ever made on this blog was entitled "Baby 'Squatch" from November, 2009. 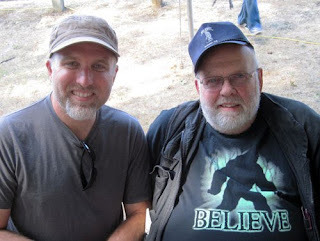 It featured my field partner (and friend of the 'squatch), Will Robinson, and his son, Keegan. Keegan was looking extraordinarily dapper in his brand new bigfoot suit made for him by his grandmother for Halloween. After a year of growth, Keegan now pretty much fits his bigfoot suit perfectly. He loves to parade around in it, pointing at things and making his own version of samurai chatter. I don't know what could make a father more proud. As Keegan grows older, I expect great things from him. Will has done the groundwork by playing the Sierra Sounds CD's to him as he falls asleep at night. We'll have to wait and see what long-term effect that will have. Since Will does some of the best sasquatch calls I've heard a human produce, I imagine Keegan may top his old man some day. There must be something genetic about it, but the CD's will probably help too. Mark your calendars! 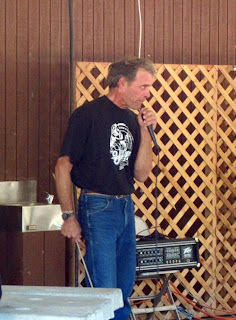 For the fourth year in a row, Mike Rugg of the Bigfoot Discovery Museum in Felton, CA is throwing the conference/event called Bigfoot Discovery Day. 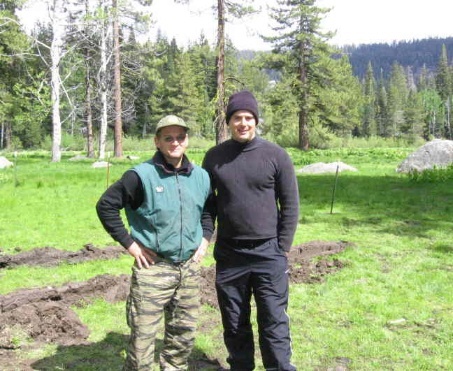 This year, Field Researcher Bart Cutino, California State Ranger Robert Leiterman, and others are scheduled to speak. Local witnesses are also being lined up to give accounts of their encounter from in and around Santa Cruz County. 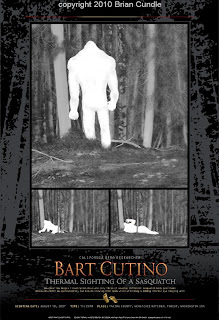 Bart Cutino will be speaking about his thermal bigfoot sighting, as well as his current research in and around Monterey and Santa Cruz Counties. Being in frequent communication with Bart, I know that he gets out often in central California, an area with few active field guys. If you are a local, you might benefit from picking his brain for local spots. You might be surprised where sasquatches are seen in that part of the country. 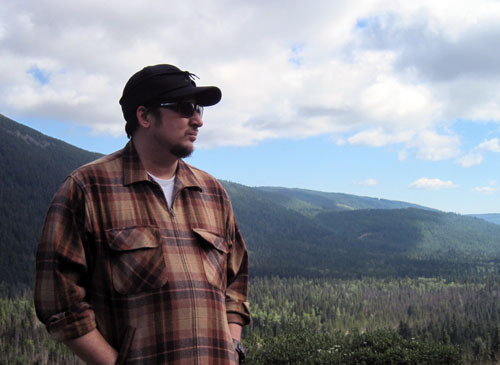 Ranger Robert Leiterman, who is also author of several bigfoot novels, will detail his camera trap study field work in the redwood forests of Humboldt County, CA. Being a park ranger, he has a unique opportunity to deploy cameras in the some of the squatchiest spots in Humboldt County in a dual effort to catch individuals using public lands for nefarious purposes, and/or a sasquatch by using these photo traps. To me, Labor Day is always about returning to work. (In fact, that's how I remember the name of the holiday at all.) I seem to always have this three-day weekend as the last three days of real summer vacation before a new group of younglings come knocking on my classroom door. Since the metaphoric whole world seems to take to the hills on this special occasion for their own special family campouts, I tend to stay closer to home taking care of last minute things for the classroom or just barbecuing with friends. I prefer to leave the crowds to themselves. 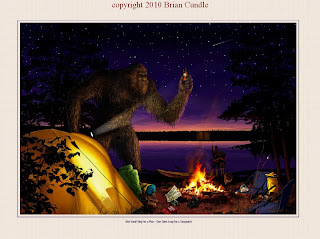 This year, I got an invitation from my regular field partner and friend of the 'squatch, Craig Flipy, to accompany him and a group of his friends on a camping trip. Yes, camping. Not bigfooting, but camping. How novel. Of course I accepted. I don't actually camp much, and I'm not even really sure how to do that anymore. I suppose it's just bigfooting without the gear and stuff. Would I be allowed to do calls, I wonder? As the date grew closer, individuals hopped on the camping train, and several fell off. When it came right down to it, we were left with only four of us: Craig and Barney (two of my regular bigfooting bros), newcomer Guy Edwards from the excellent bigfoot blog Bigfoot Lunch Club, and me. Barney, Craig, and Guy on a sandbar looking for interesting prints. Suddenly, this camping trip had turned into a bigfooting trip. Thank goodness. It felt so awkward! We headed out to Mt. Hood National Forest to see if we could drum up some bigfooty action. 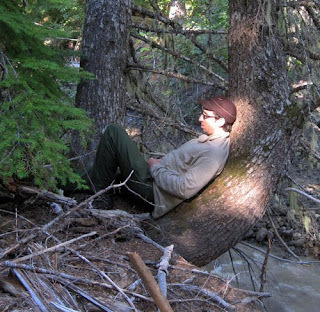 Though Guy is well-versed in the cultural side of the bigfoot thing, he had never really done any field work before. He was more than happy to tag along, watch, and ask questions. He told me more than once that he hadn't done anything like this since he was a kid, which was a nice thing for me to hear. 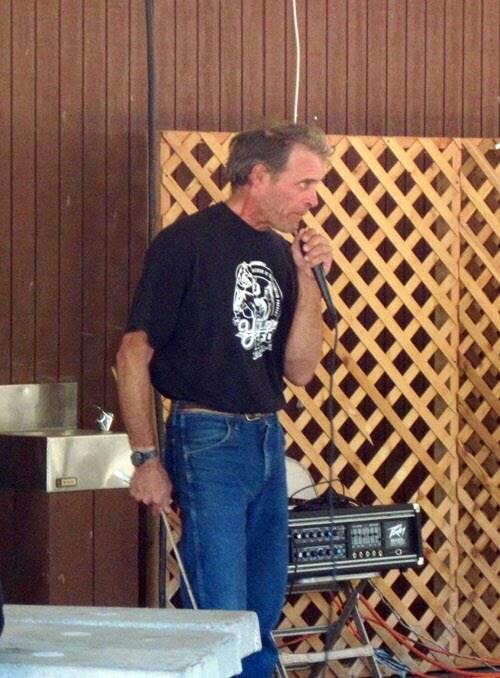 I hope to hold on to my youthful attitude as long as I can, and I believe that bigfooting keeps me young. It is a pleasure to share it with others. The view from Sunday's camp. No bigfoot action was noted over the course of our two nights in the field, though we did some serious scouting and had a great time. We found two night's worth of excellent campsites with deep ravines, thick with signs of life. Both bear and cougar were tracked on the river bottoms and steep canyon walls. The ominous grey clouds danced on the ridges to the east and never gave us the expected rain. It was a great weekend. Guy was also treated to his first real foray into bushwhacking, and what better species to get him used to going through than manzanita? He noted to me on the drive home that this was a highlight of the trip. I was relieved to hear that. I knew he would either love it or hate it. To spare you the details of a relatively uneventful trip, I'll just show you some nice pictures from our adventure. Enjoy! The meeting of two creeks. Guy Edwards looking coolly heroic. This creek had a high sulfur content, judging from the color and smell. Crain Flipy dozing in the fading light. Big Mike won't give up his dead mouse without a fight. This past July, I had the opportunity to once again visit the Patterson/Gimlin film site in Northern California, as detailed in a previous blog post. Bigfoot field researcher, and friend of the 'squatch, Matt Pruitt took a short video that day, and for those of you bigfooters who have not yet visited this Mecca, here is the video. Watching this is almost like being there... except for the cool waters of Bluff Creek caressing your feet and ankles, the awesome sense of history that is tangible in the air, and the very real possibility of having your own bigfoot encounter at any turn in the creek. Still, it's almost like being there... kind of. This past Saturday, the third (?) annual Bigfoot Bash and Bounty was held in Home Valley Park, just a few miles east of Carson, WA. I attended last year's Bash and found the festivities to be fun and very "home town." 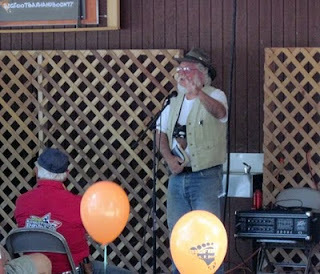 Though I had only returned from bigfooting the night before, I felt compelled to make the hour drive up the Columbia River Gorge to see what was going on at the Bash. Dr. Robert Pyle addressing the crowd. I arrived during Dr. Robert Pyle's presentation. He was eloquently encouraging the crowd to keep an open mind on the subject when a familiar voice asked me, "Who invited you?" Turning towards the sarcasm, I found my good friend Thom Powell striding up to me in greeting. Thom was scheduled to speak later in the day, so he and I had a chance to catch up before his talk. Since Thom is also a teacher, we usually spend a fair amount of time together during the summer, but this year we seemed to have missed the opportunity, each of us having our own distractions. Thom Powell talking about his research. Earlier in the day, Larry Lund gave a presentation on the PG Film and it's so-called "missing frames." These frames are actually just over exposed frames that appear blank as Roger's hand slipped from the trigger (the model of camera that Roger used requires the trigger to be held down while filming, so lifting the pressure off of the trigger would cause the camera to stop filming). I got a chance to have a great conversation with Larry, as well as to look through his scrap book full of historic photographs of various bigfooters he has known over the last 40 years. There were many other bigfooters in attendance. Peter Byrne, Joe Beelart, Cliff Olsen, Kirk Sigurdsen, and others were roaming about, open for conversation. The Yeti Beer Garden was the epicenter for enthralling conversations, which was the real joy of this informal event. 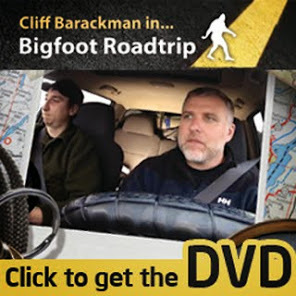 The Cliffs: Barackman and Olsen. I look forward to seeing this gathering grow over the years. There were significantly more people there this year than last, so I expect great things from future Bashes.